Tomorrow is the 1st Blank Page for the 2019 year. The 2018 year is very close to an end and according to our 2018 scorecards, we did some amazing things over the past twelve months. Now, we will start working on a new year full of events bringing some joy to this wonderful community. The Copey Learning Center Board of Directors is being sent a formal letter commiting our support for another year. Based on our past year’s performance, there is very strong evidence our level of interest and support for the Copey Learning Center and its mission remains very high. Overall, “Friends of Copey” has added several new “Friends” over the year supporting our work. Thank you for joining us. And, we are also very honored and proud to have our long term supporters who have been involved most of or all of the five years we have been supporting the Copey Learning Center. In a couple of weeks, we will once again kick off the annual Anne G. Broady Scholarship Fund Campaign and the annual Annual Salary Support we provide for the Executive Director’s position. Both campaigns are essential to keeping as many kids as possible enrolled in the Copey Learning Center and to ensure there is strong, competent, and consistent leadership managing the daily operation of the Center. Our support in both of these areas have literally put Copey on the map as a very unique and successful, grass-roots educational center. It has been said several times and it is extremely noteworthy to keep in mind really how difficult it is for a small rural community with extremely limited family revenue sources to enroll their kids in the Copey Learning Center. And, understand how difficult it is for a community of these same families to sustain a 10 month long educational program year after year. In fact, to accomplish this is nearly impossible without outside and continuous support as provided by “Friends of Copey”. And, the “Friends” method that is applied to provide this support is equally extraordinary. Let us get ready! Similar to all prior years, we can just bet some unbelievable events will help mark the great success we can look forward to in 2019. I hope you will continue to be supportive and truly “making a difference”! There is still plenty to the “2018 non-financial” story to share that includes general acts of kindness and support for the Copey Learning Center. 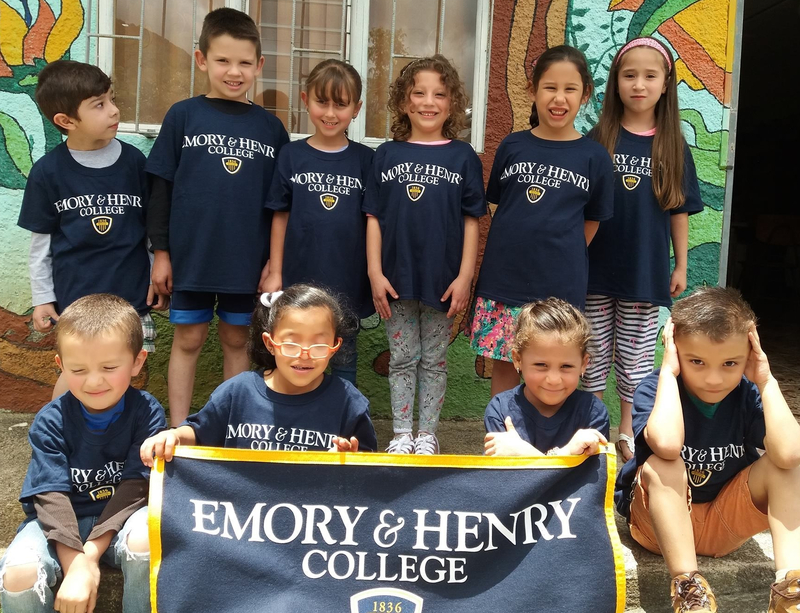 Similar to the Utah story, another surprising act of kindness resulted in the purchase of a huge supply of Emory & Henry (EH) College shirts and caps, plus an EH College banner delivered to the Copey Learning Center. These items were donated by Thomas McGlothlin. Thomas graduated from EH College in 1968 and the McGlothlin family members are rock solid supporters of the college. After Thomas met the Pathway Project students and chaperones last June, his enthusiasm for the developing relationship between the college and the Copey Learning Center inspired him to support even greater visibility of the college inside the Copey community. Fifty-three Posts have been issued in 2018. Back in 2015 our viewership was 3,207. In 2016 we reached 3,223. Then in 2017 we sky-rocketed to 4,055. Our 2018 end count is projected at 3,550, a 11% decrease in viewership over 2017. But remember, the 2017 viewership count provided a huge increase over 2016. We fell a little short in matching that level two years in a row. Use of photos continued to be high compared to prior years. “Comments” responding to Posts increased by 6% over 2017. The three Most Viewed Posts were “Have Supplies…Will Travel” Posted March 19, 2018; “The Principal…The Leader” Posted April 9 2018; and “Friends…Are Everywhere” Posted April 16, 2018. “Friends” remains popular in countries outside of the USA and Costa Rica. There are a total of 56 countries listed who have visited the Blog this year. The USA and Costa Rica accounted for nearly 3,000 visits alone. The list includes from Canada thru Germany, countries with at least 50 visits each. We have outstanding partners who support “Friends of Copey”. Our success would be impossible without the support of Emory & Henry College and the Tri-Cities Industry Kiwanis Club. Both provide the essential services needed to successfully conduct the annual “Pathway Project”. These two partners are easily 2,500 miles apart in distance in this country. 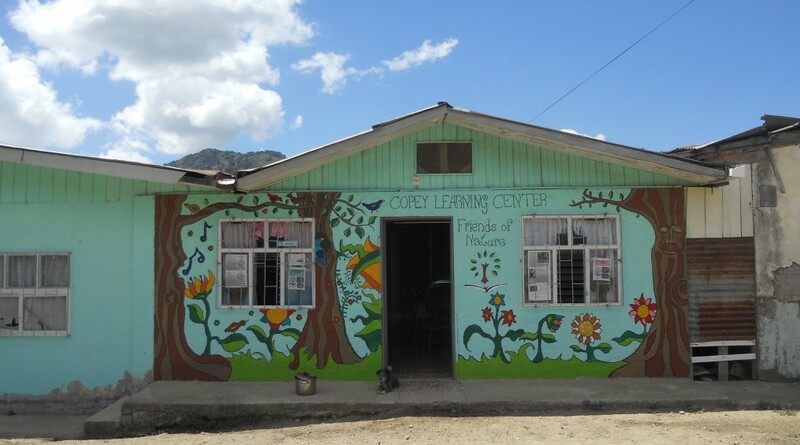 However, they successfully support the Copey Learning Center located in Costa Rica. This alone is an amazing story. Both organizations are integral partners in the “Pathway Project” and provide a wide-range of services including housing and meals, transportation, education, recreation, and accounting. These services are donated and supported by many individuals representing both groups who also voluntarily donate their individual/personal time and resources. One of the most unheralded supporters year after year is Carol Barnard. She has been the best “behind the scenes supporter” I can have. Thoughts and ideas can be trusted with her and I can depend on consistent and honest feedback. “Friends” involves many people, donated funds, in-kind support, important business decisions, and certainly the potential for many pitfalls and mistakes. She provides me an extra set of eyes and ears and offers unadulterated feedback that keeps me grounded, humbled, and clear thinking. And, she edits my Posts for glaring errors and inarticulate comments I am often guilty of making. And, if you do see such problems with my Posts, most likely she did not do the editing. So, I extend my heartfelt gratitude and thanks to Carol for being such a devoted supporter and extremely valuable “Friend of Copey.” Any success “Friends” has had, without a doubt will have Carol’s fingerprints on it. Thanks! Some Notable Quotes From “Friends” to End 2018! “Loved reading the letters from Margarita and Amy. They both write English well. I am proud to be a part of their learning experience and will continue to support the efforts of education and cultural exchange with Copey Learning Center. It is one of the joys of my life to know my small effort can make a big difference.” Kay F.
“Love seeing the students in the Emory & Henry shirts, hats and holding banners. Go Emory & Henry College! !” Pat W.
“What a joy it is to read your blog and to see your vision grow, you inspire me.” Cynthia M.
“I absolutely LOVED this post!! It is so true that no matter what we do we make a difference in someone’s life. I love reading this blog, loved my time at the Copey Learning Center, and love all the circumstances that brought our visit about.” Carolyn J. “Your grand vision has afforded so many of us the opportunity to contribute, hopefully, in meaningful and developmental ways. What a treat it was to witness the enthusiasm and excitement displayed by the scholars as we briefly toured around DC.” Zina G.
“Fantastic job of getting those letters in the blog!! They are clear and easy to read!! Great inspiration! !” Rick J. “Yes, you are right Arthur, we do make a positive difference. It is important for us to shine a light on the darkness that we see and hear often in today’s world. I sing a few verses of “This Little Light of Mine” often and make up verses of my own. We have hope and light ahead as we witness in these young children already making such a difference. Thanks to Ms. Johnson, the students, faculty, and staff for making a positive difference. Keeping the faith!” Lisa B. “Another beautiful post! Enjoyed seeing the success of your family…both older and younger. What a great tradition you and your family have!” Eric J. “Thank you so much for giving us this opportunity. We enjoyed it so much. I have told many people about our experiences and shared what a wonderful program you have going on down there. I hope to return someday soon. Thank you!” Tamarie M.
What a difference you have made in 2018! Happy New Year to all! WARNING!!! This report is lenthy and only Part 1 of two Parts needed to cover the full non-financial success experienced this year. During 2018, “Friends of Copey” witnessed a major display of volunterism and in-kind support. Our non-financial support supplimented by the financial support resulted in 2018 being “best year” yet. Last week we documented the “Financial” side of our work. This week and next week, we will take a look at all accomplished by volunteers and in-kind support. We started 2018 somewhat disappointed because our “New Educational and Cultural Center” proposal was rejected late in 2017. Being a significantly large goal, we decided to place the effort on hold while the Copey community struggled with the loss their church by fire in August 2017. The Copey community’s first priority is to see the church rebuilt. However, “Friends” is still actively working on this project and we look forward to 2019 with optimism. The Meadow Elementary School in Lehi, Utah led by Principal Carolyn Johnson and assisted by Tamarie McMullin, Lisa Watters, and Debbi Christiansen, surprised everyone this year. In early 2018 “Friends” learned about the 400 pounds of school supplies collected to be donated to the Copey Learning Center. The collection effort involved school kids, parents, and school employees all working together. Then, this collection was personally delivered to the doorstep of the Copey Learning Center. UNBELIEVABLE! energy needed to make this all happen. And, it should not be lost that this story of generosity extends beyond supplies. The “kids” have been impacted. Students at Meadow Elementary School became aware and interested in students in Copey. This established a rare international student link. The Utah Team’s visit to Copey and the Learning Center, their time spent with staff, students, parents, and leaders is simply “priceless”. The sharing of information, skyping, and exchanging of pen pal letters can not be defined or measured in currency. The non-financial benefits are lasting. Amazing Support! The “extra mile” became standard practice when the “2018 Pathway Project” followed the Utah Team. Matt and Kara, students from the Emory & Henry College journeyed to Copey to volunteer for five weeks. Upon their volunteer completion, they returned home to the USA with two Copey students and two chaperones. hotel, then to a restaurant for dinner, and returned to their hotel for a much needed rest. Zina provided our guests a tour of our nation’s capital the following day and she treated the guests to a meal at a wonderful restaurant before completing her host service. Monica, Emory & Henry College’s Alumni Director, drove nearly three hundred miles to DC to meet Zina and our guests and then transported our guests to campus. Zina and Monica working as a team, accomplished all this during first 48 hours our guests were in the USA. During the first week, we witnessed this level of support many times. George Whitley opened his home and covered all costs for the 2nd annual “Friends” reception attended by “Friends”, some traveling from North Carolina. Jane Rutledge and her family hosted a family picnic for our guests to enjoy. Ed Davis and his wife treated our guest to bowling. Robin Grossman and her family shared their wonderful home and comfortable accommodations for our guests to stay and enjoy during their first week on campus. During the second week, the generosity and support continued. Tuition, dormitory rooms, and on-campus meals were provided to allow the guests to participate in the Young Scholars and Leadership course. These noted “Friends” performed examples of the many ways kindness, consideration, concern, and support took place. There are many others such as Dr. Celeste Gaia, the college’s Director of International Education, who was key to establishing the “Pathway Project”. All these supporters have the “heart of servants” and voluntarily support each of the areas listed below with little or no fanfare. The actual financial price tag was about $5,900.00 or $1,475.00 for each of the four guests. Each dollar donated was needed and critical to the success of this project. But, the true price tag for the “Pathway Project” would be closer to $9,000 or more without the wide -range of in-kind support and voluntarily assistance provided. There is much more to share about the 2018 supportive volunteers. But, this will be continued in Part 2 of the Non-Financial Scorecard next week. This story is bigger than life and very important to share…and share well. When we began the 2018 year, our expectations were just as high as in previous years. Our historical success provided good reasons to look forward to 2018 with confidence. Kicking off January 2018, we launched the dual fundraising campaign to support the Anne G. Broady Scholarship Fund and support for the Executive Director’s annual salary. The Anne G. Broady Scholarship Fund goal was again set for 15 scholarships or $1,500.00. The actual amount raised with donations totaled $1,750.00. The financial goal to support the Executive Director’s Salary was set at $2,500.00 and was successfully achieved with a final total of $2,600.00. I wish to note this goal was reached nearly a month earlier than planned. Copey Learning Center is grateful for the level of financial support provided by “Friends” for both of these financial goals. We now have five years of scholarships (100 plus) donated and our support for the Executive Director’s salary has been in place for four years. The investments in both areas of funding support have resulted in more students learning English and the Copey Learning Center enjoying competent and consistent leadership. Successful Financial Year for the Pathway Project! The 2018 Pathway Project fundraising goal was originally set at $6,500.00 to cover round trip costs and related expenses from Copey, Costa Rica to the USA and back home for two students and two chaperones. During the fundraising campaign, some planned travel and food costs where eliminated when “Friends” offered to replace these costs with valuable in-kind support. The goal was cautiously reduced from the $6,500.00 goal to $6,200.00. The total amount of donations received was $6,180.00 and the total expenses were $5,907.72. The airfare alone made up 75% of our total expenses. This left $272.28 unspent and these funds are being held over for the 2019 Pathway Project. One key observation this year was the growing amount of in-kind support we experienced for the Pathway Project. This kept our overall financial need very reasonable. Each year, we have donated funds for school supplies and we have supported the annual “Spelling Bee”. Fortunately, this year the Copey Learning Center received an unbelievable donation of school supplies. There will be more said about this in next week’s Post. The “Spelling Bee” was canceled in 2018 due to the Costa Rican “employee strike” which involved public schools and teachers. No funds were needed for the “Spelling Bee”. “Friends” has an important role. We actively help provide opportunities so more students can attend the Copey Learning Center. We support keeping quality and consistent leadership in place to manage the Copey Learning Center. And, we support recognizing, rewarding, and encouraging student success. “Friends” continues to strive to make a practice of requesting donations only when we are supporting one of the general areas covered in this report. And each time there has been a call for support, you have responded favorably and generously to the opportunity to “make a difference”. It is December…the back end of another year. How does time go by so quickly? Also, we just watched five years fly by since I published my very first Post on December 15, 2013. It was a very short message with only the photo of the Copey Learning Center pictured here. This Learning Center was in use when the Blog began…but the Learning Center is now located in the different facility now seen on all my Posts. Who knew on December 15th what would follow? Today’s Post will be # 267. Admittedly, I never anticipated we would be where we are today and still going strong. The journey has been absolutely amazing and fortunately the compilation of the 267 Posts serve to document the events and our successes over the years. And, you can find each of the 267 Posts on this Blog to read. This is not often mentioned but very important. Over the five years I have been reunited with several old friends and strengthened relations with casual friends. Plus, I have experienced connecting with many “new” friends. In short, I am “friends rich” and blessed we are all joined together as “Friends of Copey”. First, what we do is extraordinary. Connecting with a community for the only purpose to support that community’s efforts to achieve its goal is not typical. Other organizations helping with scholarships, salary support, and other educational enhancements totally dedicated to one community is essentially unheard of. Then, how we do what we do is also extraordiary. We are a devoted group of “friends” uncompensated and fully committed to doing what is within our ability. We do not look or conduct business in any way similar to the established organizations. More on both of these conclusions in the upcoming “scorecards”.